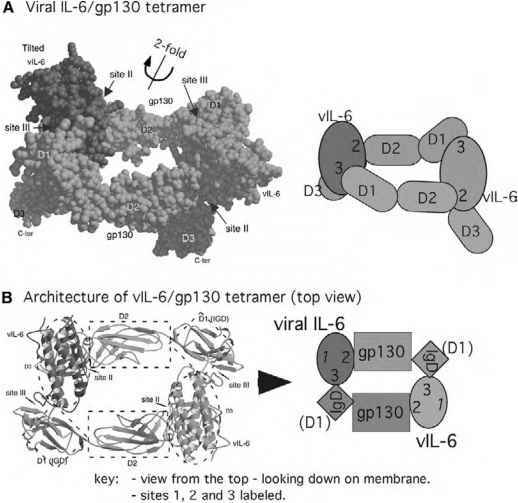 Figure 1 Crystal structure of viral IL-6 in complex with the gp130-D1, D2, D3 . (A) Tilted space-filling view where all domains are in view. Note the large hole in the middle of the tetramer. For clarity, a schematic drawing of this orientation is shown to the right. (B) Ribbon drawing of a top view of this complex, looking down on the membrane. A schematic drawing of the top view, with identical domain coloring as the ribbon figure, is shown to right. In this orientation, the D3 domains are underneath the cytokines and therefore are not visible. groove on a concave face of vIL-6 created by the crossing angles of the A and C helices. 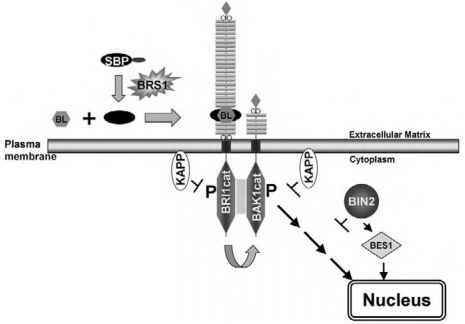 This knob-in-hole packing likely underlies the site 2 recognition mode across all gp130-cytokines.